Spring rounds 1 week 1 day ago. // BORA YOON updated their cover photo. TOWER, Sonoma CA @ Oliver Ranch, w/ SYMPHO, conducted by Paul Haas 4 weeks 1 day ago. The Maestro knows exactly what he wants in his ears. @voascension #denniskeene #eagle 1 month 3 days ago. [Sound On] GRAMMY-nominated Voices of Ascension presents the world premiere of my new choral work "Infinite Light" feat. the poetry of Rumi and Hafiz, this Wednesday, in NYC ✨ Hear a sneak peek here, directed by the incredible Dennis Keene. An honor to be included in this diverse and notable program of women composers across the centuries: with Hildegard von Bingen, Lili Boulanger, Clara Schumann, Ethel Smyth, Amy Beach, Cecile Chaminade and many many more. An epic evening of music awaits- Wed, 7:30p, 91st & Park. more info >> https://www.newyorker.com/goings-on-about-town/classical-music/a-voice-of-her-own 1 month 3 days ago. 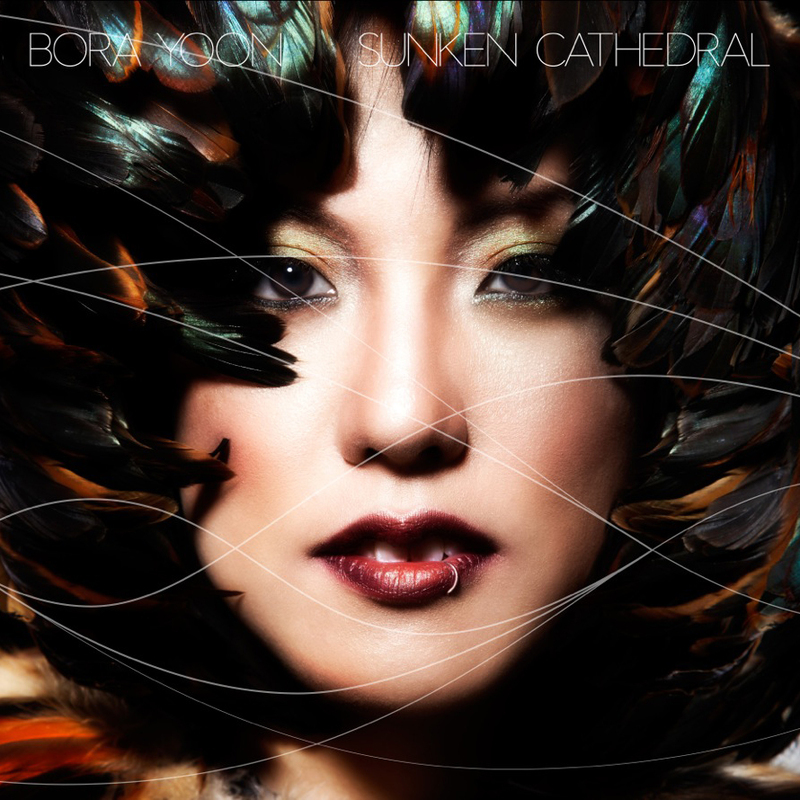 Sunken Cathedral is a multimedia album release (CD, Vinyl, and Gralbum, co-produced by R. Luke DuBois) by Korean-American composer, vocalist, sonic surrealist Bora Yoon. Designed as an architectural journey through the chambers of the subconscious, each track on the album illuminates a different sonic “space,” which excavates the memories, insights, and intersections in which our greatest diamonds and demons are held. Sunken Cathedral traces death, life, rebirth and the cyclical/recombinant nature of the universe; the alchemical moment of transmutation where one medium becomes another. Yoon creates immersive audiovisual soundscapes using digital devices, voice and found objects and instruments from a variety of cultures and centuries – evoking memory and association to formulate a cinematic storytelling through sound design. A site-specific and architectural composer, Yoon writes for a wide spectrum of spaces ranging from an abandoned pool to a Frank Gehry building to galleries and black box theaters. A 2014 TED fellow, Yoon’s pioneering works have been presented at Lincoln Center, Brooklyn Academy of Music, the Nam June Paik Museum (Korea), Singapore Arts Festival, MADE Festival (Sweden), Festival of World Cultures (Poland), Park Avenue Armory, and Walker Art Center, among others. Classically trained and steeped in a first love of choral music, Yoon is fascinated by the intersection of space and sound, maps, human Venn diagrams, handsome sounding kitchenware, sonorities and the pulleys and strings that hold everything together. Visual album release with the Graphic Album Collective, coming Spring 2014, featuring the kinetic sculptures of artist Uram Choe. A new application for the iPad, for listeners to visually experience and interact with musical records. "Heady, even intoxicating stuff.. Rhythmic impetus & sonic exotica combine to create an atmosphere of prayer-imbued ritual… sound sources somehow coalesce into something very much more than the sum of their parts.. [Sunken Cathedral] shows Bora Yoon at her bewildering, genre-defying best.. a tour de force of the most imaginative kind of avant-garde lyricism."